Rab Floodzilla Series HID Metal halide floodlight fixture in bronze color, features precision die-cast aluminum construction and polyester powder-coating finish for high durability. Metal halide floodlight fixture featuring high-quality anodized aluminum reflector, accommodates one 250-Watt ED28 HID metal halide long life lamp to offer 25000-Lumens of light output. It has voltage rating of 120 - 277-Volts. Metal halide floodlight fixture with stainless steel screws has integral hood to reduce light trespass and glare. It measures 13-3/4-Inch x 14-1/4-Inch. Metal halide floodlight fixture in polyester powder-coated finish, supports trunnion mounting for simple and easy installation. Metal halide floodlight fixture has glazed porcelain 4-Kilo-Volt pulse rated socket with nickel-plated screw shell and spring contacts. 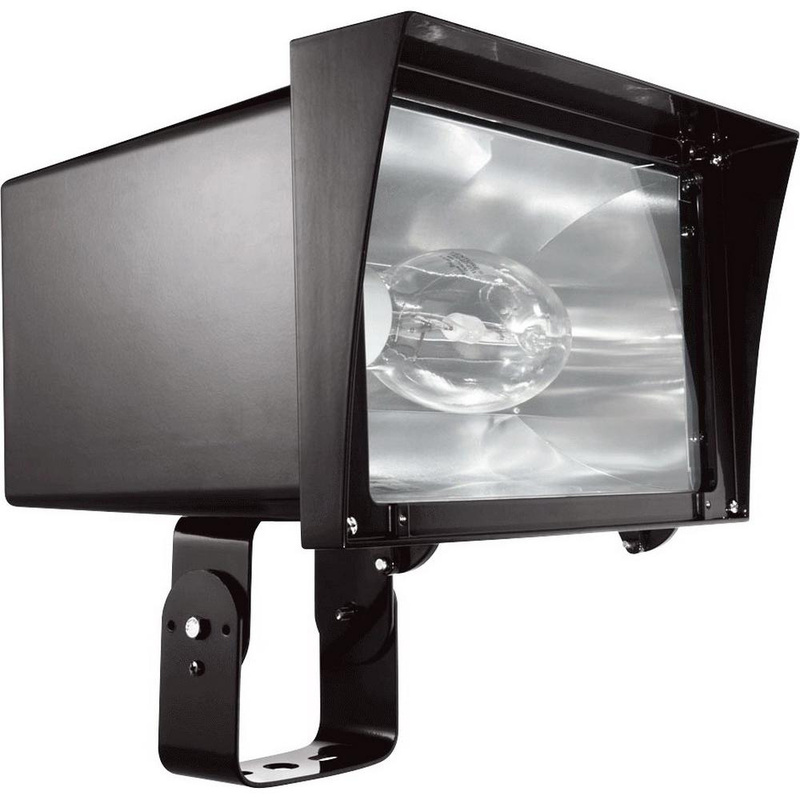 HID metal halide floodlight fixture is UL listed.